Email from Larry Masinter suggesting change in focus for work on Product: MIME architecture for the Web; also, links from the sections itemized as (a. - f.) in the proposed revision section at the top. This Tuesday session is primarily a quick level-set at the start of the F2F — updates and debates about the priorities will happen as we go along and in a session on Thursday. Agree that product "HTML5 Last Call Review" has been completed. Assign action for long term tracking of future HTML5 developments. The HTML working group issued a press release inviting comments from the public. The last call period ran through 3 August 2011. Several TAG members reviewed particular sections, but declined to suggest addtional comments be made on behalf of the TAG. Note: per discussion on 1 Sept 2011, we will not schedule fixed time for this, but Jeni or others may request time during our time in Edinburgh, if side discussions prove inadequate for making progress. Review the Identifying Application State W3C Editors Draft: Proposed TAG Finding 30 August 2011 with the intention of announcing publication of a TAG finding shortly after the F2F. Consider Larry Masinter's suggestion that the goals of this effort be changed to focus more on review of ongoing work at the IETF. Make sure Product Page Fragment Identifiers and Mime Types reflects our intentions for work in this area moving forward. ISSUE-25 (deepLinking-25): Can publication of hyperlinks constitute copyright infringment? Resolve confusion regarding goals, TAG member assignments and next steps for this work. June 2011 F2F discussion concluded next step would be legal review. Dan Appelquist agreed to look into it, but progress has been slow. If this does become a long-term focus for the TAG, consider opening an issue (existing ones don't seem applicable) and/or creating a product page. Update product page and team assignements accordingly. Discussion at 8 June 2011 F2F suggested we want to publish quickly, do a product page, and target Sept (this F2F) for review of a draft. 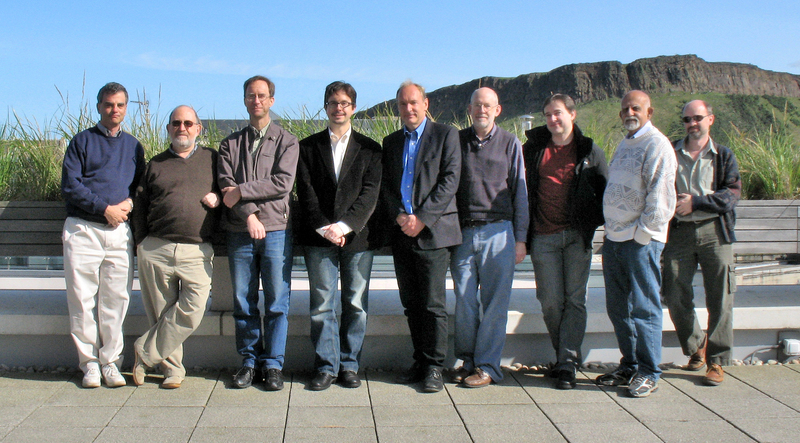 RESOLVED (at June 2011 F2F): TAG members will hold 2-4 April 2012 for TAG meeting in Sophia Antipolis, France. The meeting is not yet confirmed. It's still in order to ask for changes. Are there any options for co-location with the IAB?